Following the damage caused to local beaches by the unprecedented storms of the winter there are fears that repairs may not be carried out in time to save the Blue Flag status of Lisfannon Beach. Severe damage was caused to the road and car park at Lisfannon Beach and with the inspections for this year’s Blue Flag status due to start next month, the pressure is on to get the necessary repairs carried out. 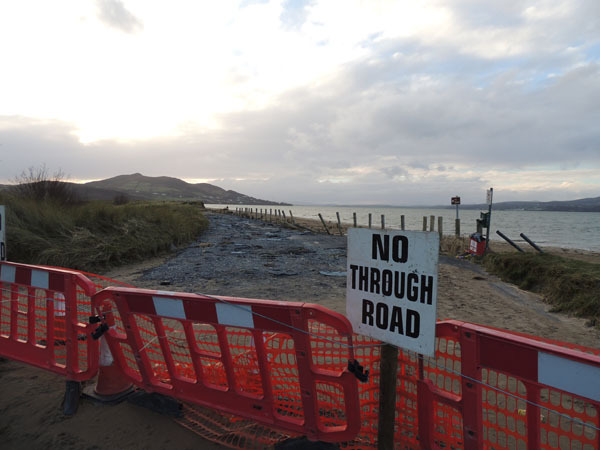 The paths and parking areas at Lisfannon Beach, which can accommodate hundreds of cars during busy summertime periods, were badly damaged during storms in December and January and An Taisce, which carries out inspections for the Blue Flag, says that the criteria cannot be relaxed even to allow for winter storm damage.